This outfit is inspired by a post done by the lovely ladies over at Luella and June. Many think of lace as a summertime special, but we think it’s time to throw away that idea and make it an all year round fabric. Pair a white lace dress with a dark blazer and matching tights and you’ve immediately turned a light summery frock into a classic fall/winter look. 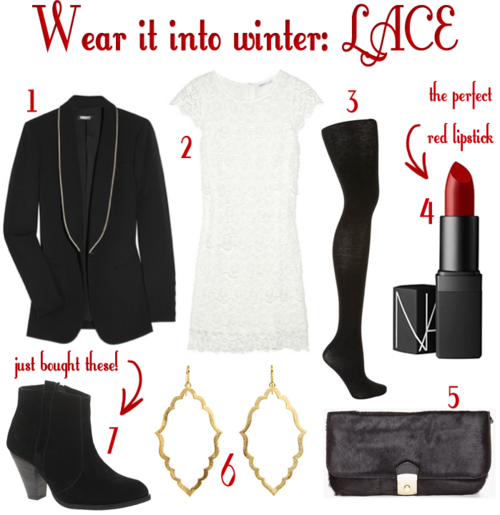 Add some edge with ankle boots and candy red lips. Parfait!